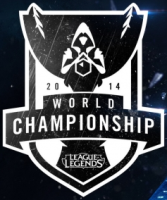 Here is the full schedule of all upcoming matches of the League of Legends World Championship 2014! The betting odds are provided by Pinnacle eSports. If you want to learn more about betting on the LoL World Championship you can find detailed information about the betting sites in our review and eSports betting section! Check out the review of eSports betting at Pinnacle Sports. You can find the LoL World Championship in the menu on the left side of the Pinnacle Website by clicking on “E-Sports”.